With its combination of dazzling performance and amazing control the Subaru WRX has long thrilled drivers around the world. 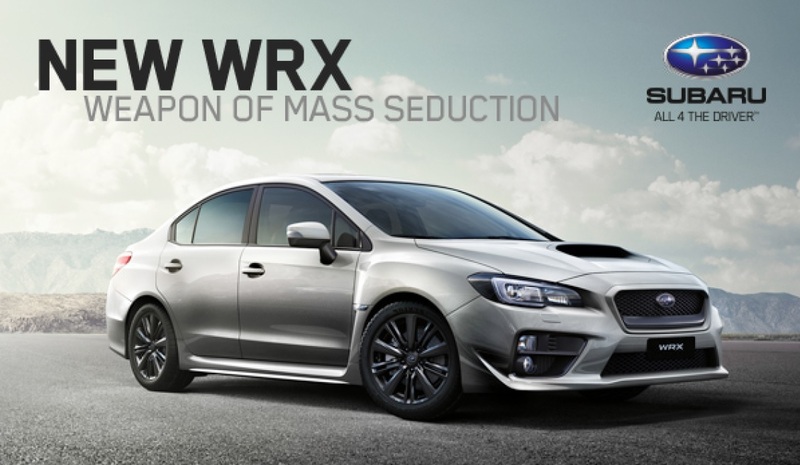 20 years on, evolution meets revolution in the ferocious fourth generation WRX – and you’ve been chosen to experience it first. Join us for an exclusive preview and celebrate 20 years of WRX in Australia. Australian Rally and Racing Car Champion Cody Crocker puts the new WRX through its paces in spectacular style. 6 or 7 Car Display of Club Member-owned WRX/STI's covering all the shapes/models of the WRX since 1994 to help celebrate the 20 year Anniversary - this "roped-off" Display will be on the upper deck car park near the entrance to the showroom. The WRX Club Committee looks forward to seeing as many members there as possbile! !